As a small business owner you need to either pay people to do things for you or you try to do most of the stuff by yourself. One of the things I do myself is website creations. Today is one of those days when I’m trying to set up a new feature for a project site of mine. But.. it’s like trolls taking over the planet. Today I cannot get anything to work. At ALL! My first attempt on new features was like five minutes and a row of code away when everything fell flat to the ground. With no recovery. Second attempt was like stepping back into 2005 or similar. I mean WHO builds and deliver a script – free or not – that is not responsive in the year of 2019. Non responsive equals no good for like anybody but someones granny. 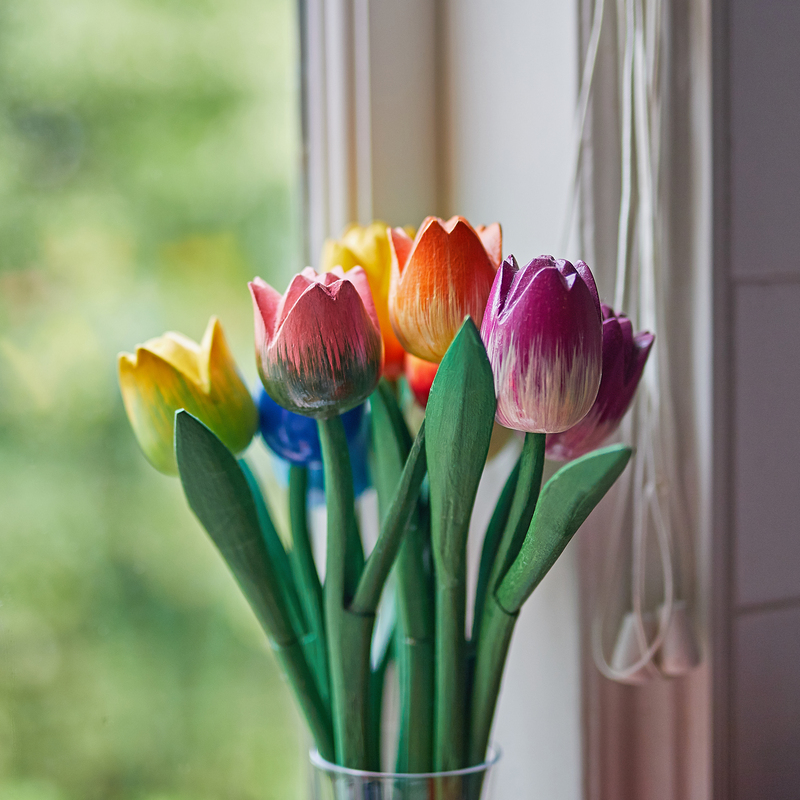 The beautiful colourful wooden Tulips live in my kitchen window. You know your’re tired when..